Thanks to continued support from our community, donors, and sponsors, Jett Foundation has partnered with another family through the Jett Giving Fund! Late last month, the Pease family in Georgia received their newly converted van, making everyday travels for Ryan and his parents, Kathryn and Paul, a little bit easier and a whole lot safer. 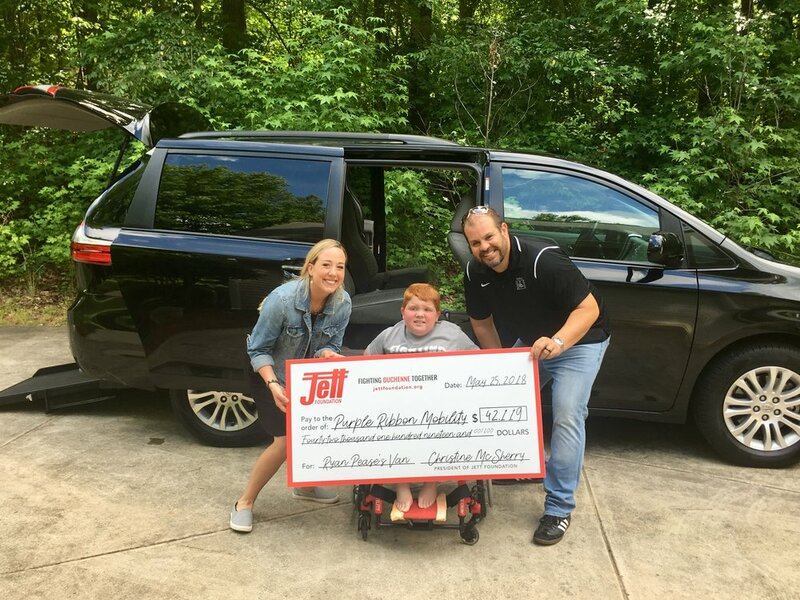 Our Jett Giving Fund works with individuals and families impacted by Duchenne muscular dystrophy to purchase vital medical and mobility equipment that is otherwise unaffordable. Without the generosity of supporters like you, we simply could not meet the incredible demand for this type of assistance. Thank you for helping bring joy and mobility to our community! If you would like to support the Jett Giving Fund, please visit www.jettfoundation.org/jett-giving-fund.